There’s no doubt that lighting had the biggest downgrade during the Dreamcast-Gamecube conversion of Sonic Adventure. It’s easily the most noticeable downgrade in the entire game, and the most serious from a technical standpoint. Let’s compare lighting systems in SA1 and SADX and see how they perform against each other. Thanks to reverse engineering we know quite a bit on how they work. Now look at the palette list again. The left row is diffuse palettes. Diffuse palettes contain colors that the original (fullbright) texture gets multiplied by, like using Photoshop’s “Multiply” blending mode. Specular colors are added on top of the result of the multiplication, in a similar way Photoshop’s “Add” blending mode works. Because it’s additive, specular lighting creates highlights. 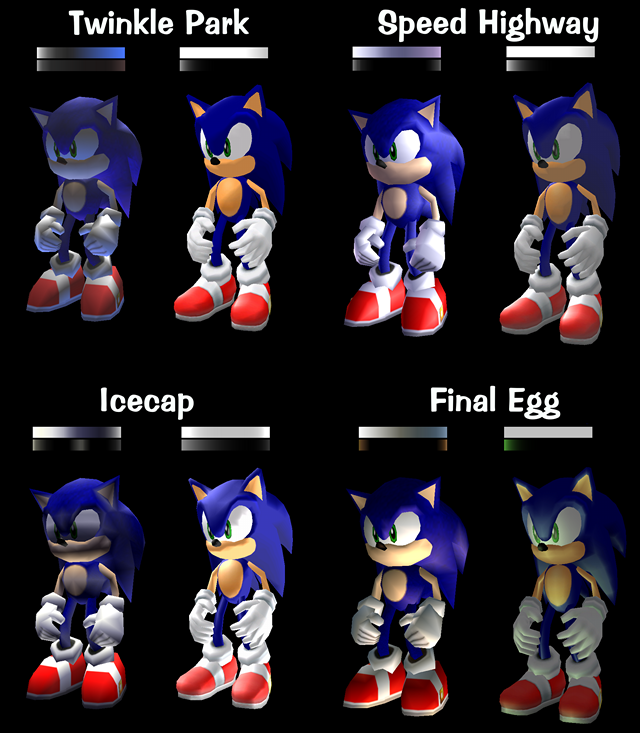 The “gloss” on Sonic and other characters is an example of specular lighting. Each palette consists of 256 colors. The color the texture gets multiplied by (or the color that gets added as a specular color) has the same index in the palette as the brightness index of the vertex. So the “brightest” vertex would get the first (0) color in the palettes, and the “darkest” vertex would get the last (255). When each model is rendered in the game, there is usually a function call that sets the “light type”. 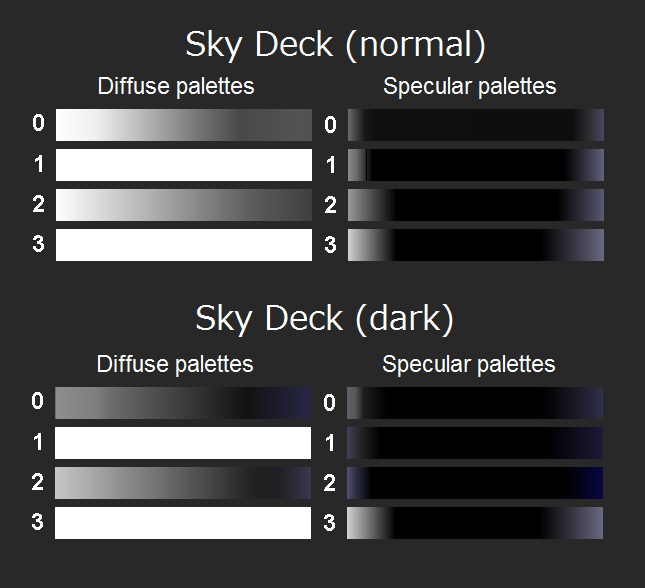 A light type corresponds to a certain pair of palettes. For example, Diffuse 0 is always applied to level pieces and objects. Specular 0 is applied to level pieces and objects when their meshes have the “ignore specular” material flag set to on. If it’s off, Specular 1 is used instead. The above rule also applies to all models that set the light type to 0. Diffuse 1 and Diffuse 3 are never used in the Dreamcast version. 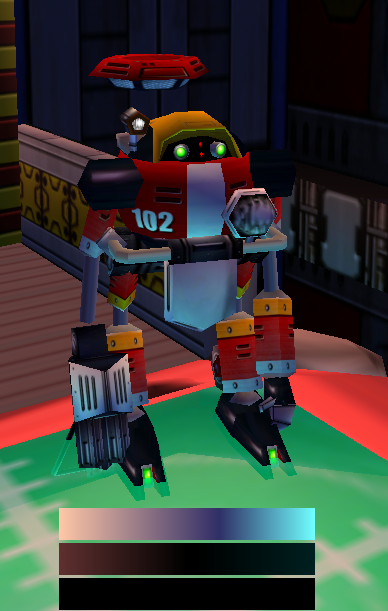 By the way, did you ever notice that Gamma’s eyes and head base are lit up in the Dreamcast version, but not in any of the ports? This is because the “ignore light” material flags were removed from Gamma’s model. For the same reason Big’s eyes no longer glow in the dark. This is a simple material flag change, however, and it works the same way in both lighting systems. This system clearly doesn’t allow as much creative freedom as 256 individual colors for each brightness index in the Dreamcast version. There is also no support for specular lighting, which means the level pieces can no longer have specular highlights/gloss. However, even with such a system in place it would’ve been possible to create environments that looked somewhat decent. After all, not all levels in the Dreamcast version use crazy multi-color light transitions or a lot of specular highlights. 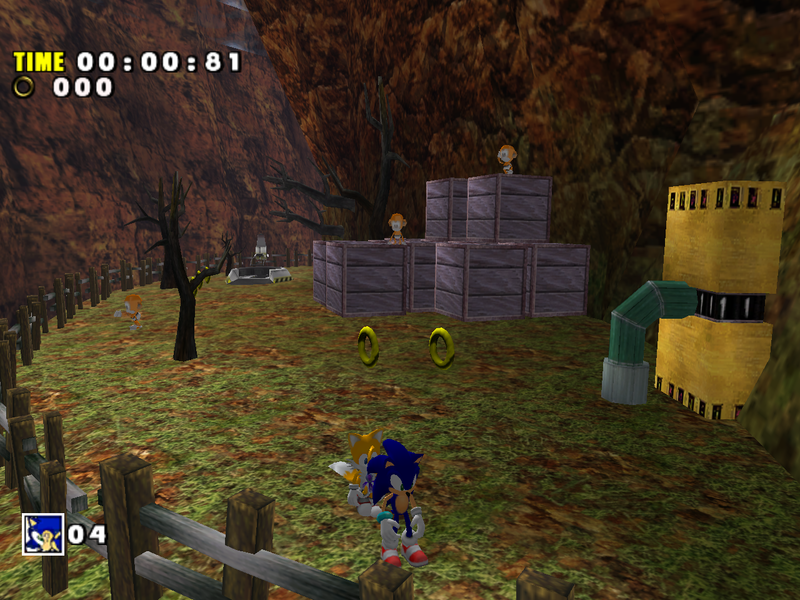 You can find some areas that look okay-ish in SADX Mystic Ruins, Hot Shelter and Lost World. Emerald Coast and Windy Valley also look alright because the original palettes for them were simple white-to-black gradients, which the new system can imitate easily. 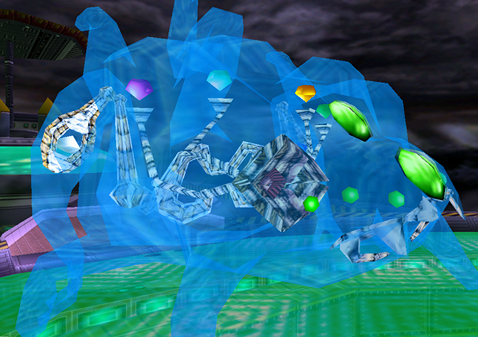 Other stages, such as Ice Cap, Red Mountain or Final Egg, feature much less vibrant environments than the Dreamcast version. The new lighting system is also broken in the PC version of the game. If you compare the screenshots from each version side by side (which you can do by going to individual level comparisons using the top menu), you can see how the PC version washes out the lighting even further and makes everything too bright. For example, in the Mystic Ruins it’s hard to tell what time of day it is without looking at the sky because the ground is lit up at all times. Station Square also looks almost the same during day and night. This problem persists in all later ports of the game, including the nextgen console ports. Using the above parameters it’s possible to create a lot of different palette combinations, and it would’ve been quite easy to imitate the color variety of the Dreamcast version using the same formula. The prototype even has a menu that is supposedly meant to load lighting information from a file. It could be that the developers were trying to load the Dreamcast’s PL files and recreate the gradients stored in them for use with the formula. Or perhaps the menu comes from an older build, which was used to generate the PL files. We don’t know what exactly the menu was used for, but the PL and SL files from the Dreamcast version can still be found on the retail game’s disk, and they were even byteswapped for compatibility with the Gamecube’s Big Endian format. It’s possible to activate them in the Preview prototype, but they are never used by the final version. You can see how the Dreamcast version’s palettes are much richer, with more gradations and color variety than the Gamecube version. 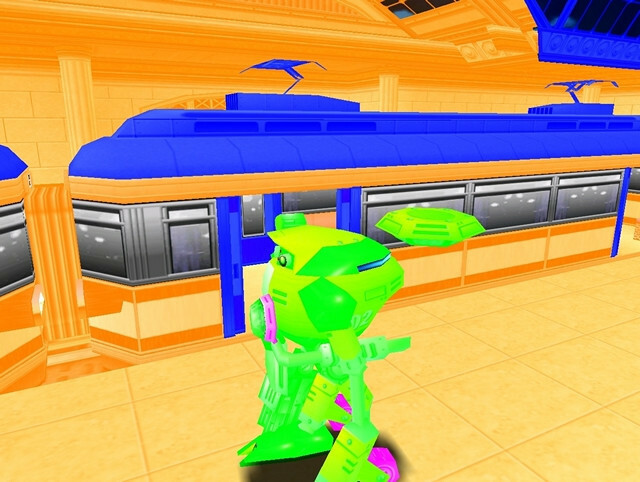 It was entirely possible to recreate the Dreamcast version’s character lighting in SADX, but the potential was hardly used at all. 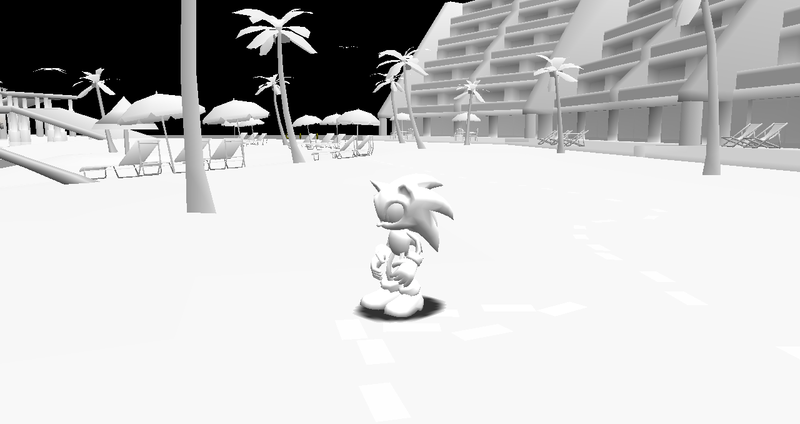 Most levels in SADX use simple white-to-black gradients for character lighting, sometimes with minor specular tints, which would’ve been a good start, but only a handful of levels in SADX use specular colors different from white and grey. In addition to the above, the PC version has other major problems with character lighting. Half of character lighting values are never used in the PC version – only Ambient and Specular 1 colors are applied to the model, whereas Color 1, Color 2 and Specular 2 components of the palettes are never used. This makes it technically impossible to have any kind of complex gradients for character lighting in the PC version. Perhaps the developers didn’t implement support for those additional values because the Gamecube almost never used them anyway. The PC version also has a problem with excessive specular. The game adds a directional specular light regardless of the model’s material flags. 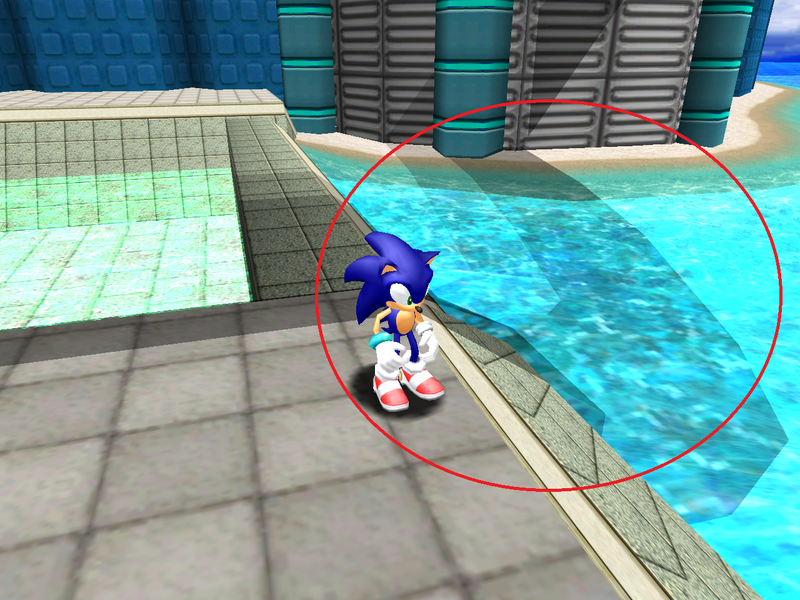 Although the amount of specular lighting can be controlled, in SADX it’s inflated to extremely high levels, especially in the PC version, which results in the infamous problem with the characters being “too shiny”. Interestingly the 2010 port (Dreamcast Collection/Steam) uses a shader for character lighting, and the lighting on the characters and objects looks a lot closer to what it looked like on the Gamecube. This is one of the few advantages the Steam version has over the 2004 PC port, which is otherwise far superior (downgrades mentioned on this blog notwithstanding). Out of these three, only Stage Lights are “dynamic”, i.e. not attached to the level model. 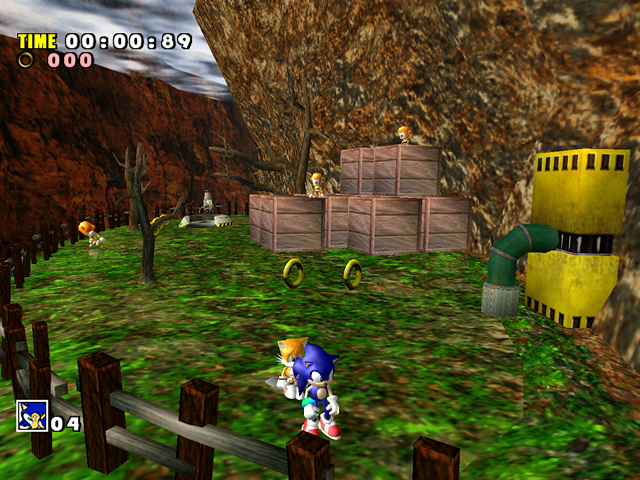 With the Dreamcast version, the same level could have completely different lighting with a simple swap of PL/SL files. 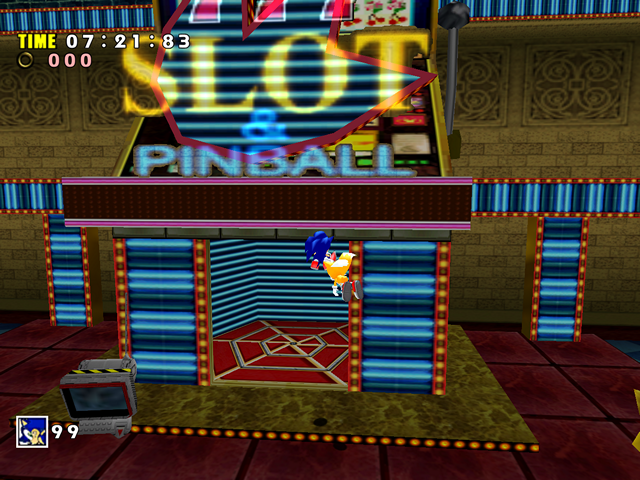 The SADX counterpart of that is the Stage Lights system, which is used for such things as daytime changes in Adventure Fields. However, the other two types of lighting are baked into the level model itself and stay the same regardless of the time of day. 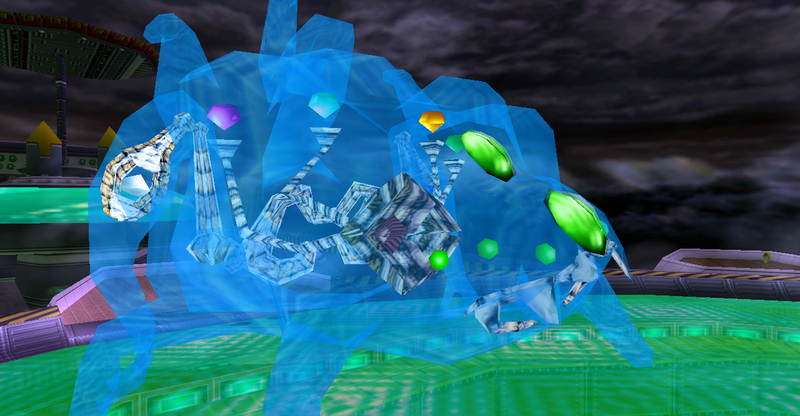 The semi-transparent models (which look like this) are barely used in the game in stages other than Station Square and Emerald Coast, and there’s little to discuss about them – they’re just semi-transparent shapes overlayed on top of some level pieces. Vertex colors, however, are a bit more interesting. Vertex colors are a relatively ancient technique used in games to enhance color variety without using a different texture. Vertex colors are color information stored for each vertex (point) in a model, which can be used for various things, such as transparency or ambient occlusion. Palette lighting in the original game is also done using vertex colors. 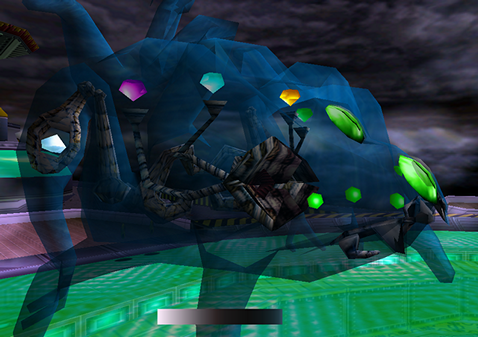 The main advantage of the Dreamcast version is the “dynamic” nature of vertex colors, which can change depending on light direction, the model’s material flags, camera position, the colors in the palette and the light type. In SADX, however, this kind of lighting is faked because the vertex colors are static. Once a model has vertex colors baked in, they will never change no matter what happens to the environment. This may be sufficient for most Action Stages because they don’t need to change, but problems arise when vertex colors are used on objects or in areas where lighting changes significantly, for example in Sky Deck or in the Past cutscenes. With palette lighting it’s possible to switch to a separate palette to create a completely different look without touching the level’s model. But SADX vertex colors always stay the same. 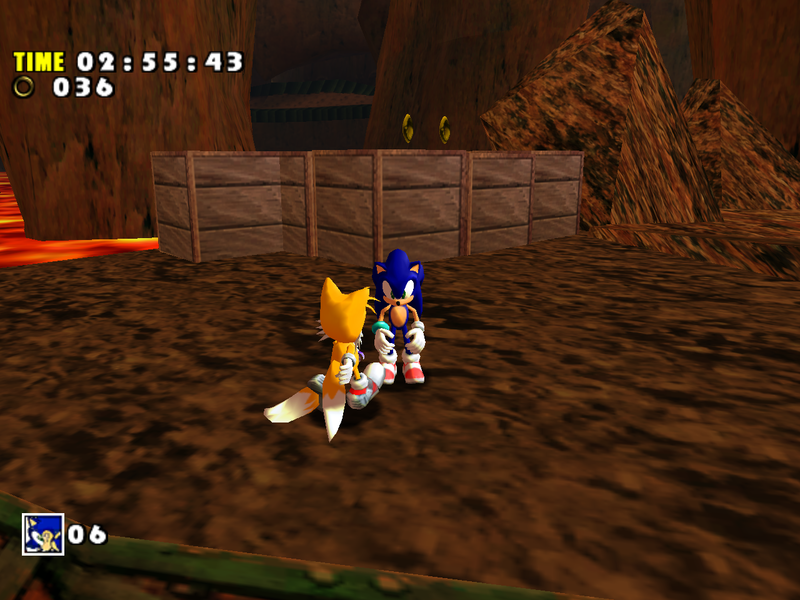 There have been arguments that the SADX levels are inherently “better” because they have “beautiful” vertex colors baked in, while the SA1 levels don’t have built-in vertex colors. While the point about SA1 levels missing vertex colors is correct, the actual argument got it entirely backwards. 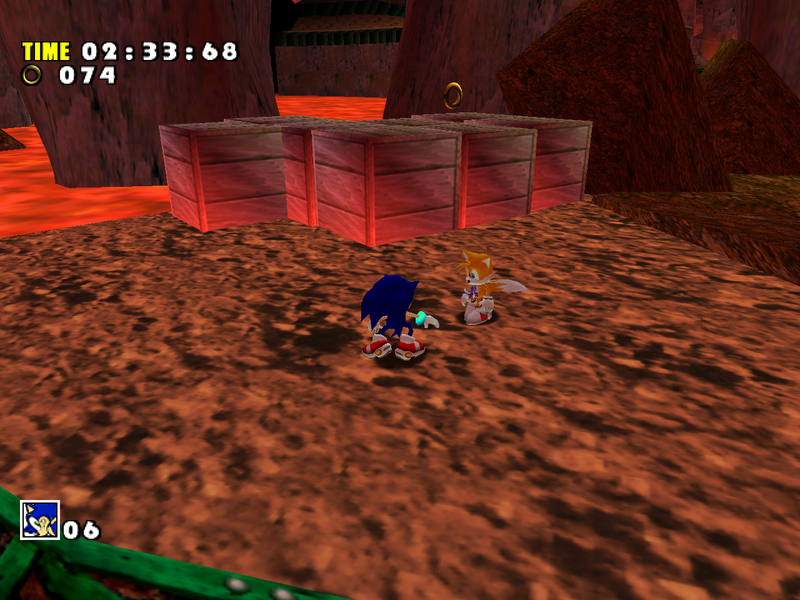 The levels in SA1 are meant to work with the Lantern lighting system. Obviously they don’t have static vertex colors because vertex colors are generated dynamically by the palette lighting system. 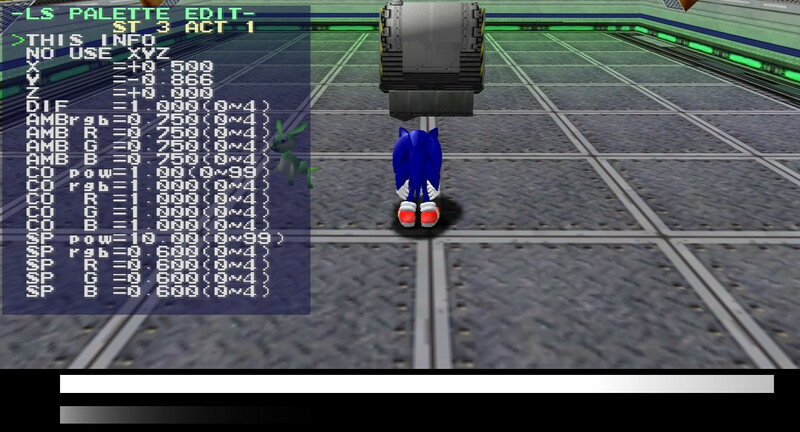 In SADX, however, the static vertex colors were added to camouflage the removal of palette lighting. Moreover, calling the vertex colors in SADX levels “beautiful” would be a bit of a stretch as they are nowhere near as vibrant and diverse as the original game’s lighting – see each level’s page for a closer comparison. There’s one potential advantage of having the vertex colors baked in – the ability to customize lighting per vertex. 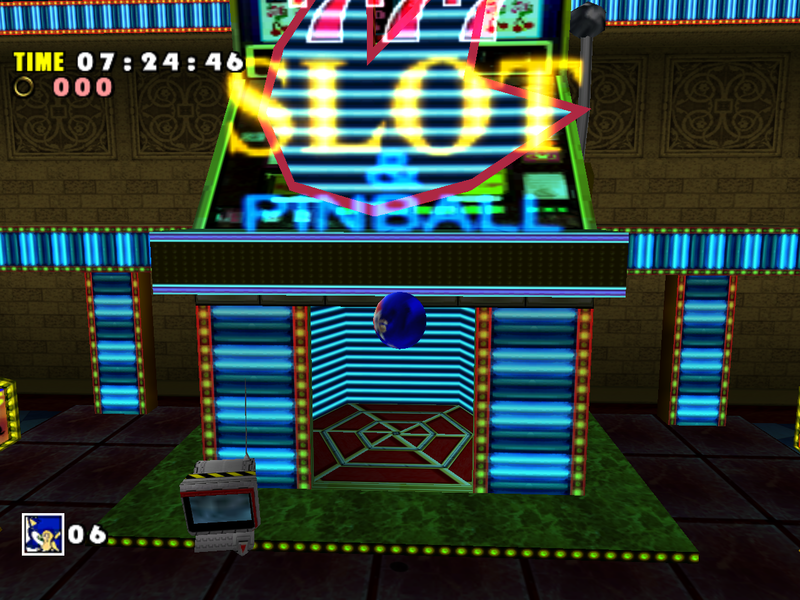 From a technical standpoint this allows more control over lighting than the palette-based system, and SADX does have some cool additions the original game doesn’t have, such as the lights cast on the ground by lamp posts in Speed Highway. However, most of the time the developers didn’t bother to add this kind of detail, and the original’s lighting looks vastly superior as a result. The model in the PC version still has vertex colors, but they aren’t applied because the functions that render object models in the PC version ignore vertex colors. This issue is persistent across all later ports as well, making the Gamecube version the only version that displays those colors properly. Like with texture quality, this creates a situation where the most accessible versions of the game have much worse lighting than the Gamecube version, which was already inferior to the Dreamcast version. Thankfully the Dreamcast version’s lighting engine was almost completely recreated in the 2004 PC port by SonicFreak94. Visit the “Fixing the PC version of SADX” section for more information on how to install the mods and experience the original game’s lighting on PC! You can compare the lighting in individual Action Stages and Adventure Fields by going to level comparison pages using the top menu.